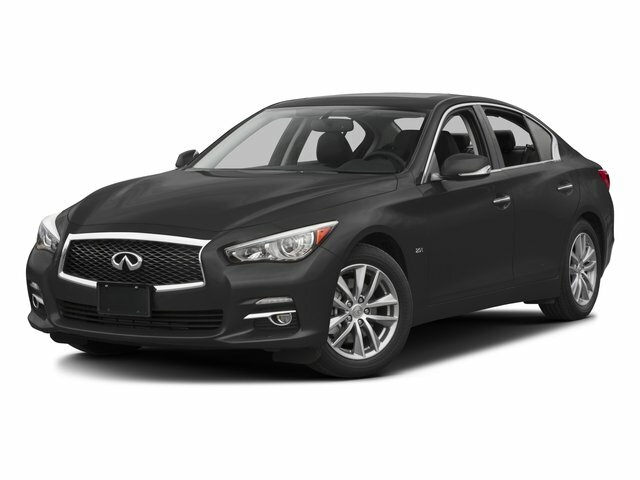 2016 INFINITI Q50 for sale serving Baltimore, Columbia & Towson, MD JN1EV7AR2GM342262 - J.B.A. INFINITI of Ellicott City. 2016 INFINITI Q50 3.0t Premium Liquid Platinum AWD 3.0L V6 Turbocharged DOHC 24V ULEV II 300hp Certified. **INFINITI CERTIFIED w/UNLIMITED MILE WARRANTY**, **NAVIGATION**, **MOONROOF**, **LEATHER**, **HEATED SEATS**, **BLUETOOTH**, **ALL WHEEL DRIVE**, **PREMIUM PLUS PACKAGE**, 14 Speakers, ABS brakes, Air Conditioning, Alloy wheels, Auto-dimming Rear-View mirror, BOSE Centerpoint Simulated Surround, Brake assist, CD player, Compass, Dual front side impact airbags, Front fog lights, Front reading lights, Front Sport Seats, Garage door transmitter: HomeLink, Heated door mirrors, Illuminated entry, Illuminated Kick Plates, INFINITI Studio on Wheels by Bose, Leather Shift Knob, Leather steering wheel, Navigation System, Overhead airbag, Overhead console, Panic alarm, Power door mirrors, Power driver seat, Power moonroof, Power steering, Radio: AM/FM/CD w/MP3 Playback Capability, Rear reading lights, Rear window defroster, Remote keyless entry, Speed control, Speed-sensing steering, Steering wheel mounted audio controls, Trip computer, Turn signal indicator mirrors, Variably intermittent wipers. CARFAX One-Owner. Clean CARFAX. INFINITI Certified Pre-Owned Details: * 167 Point Inspection * Includes Rental Car and Trip Interruption Reimbursement * Transferable Warranty * Warranty Deductible: $0 * Limited Warranty: 72 Month/Unlimited Mile (whichever comes first) Limited Warranty 72 months/Unlimited miles from original in-service date for vehicles over 15,000 miles & under 2 years old, 24 months/Unlimited miles from certified purchase date for vehicles over 15,000 miles & older than 2 years * Vehicle History * Roadside Assistance Welcome to Maryland's #1 INFINITI Certified Pre Owned Dealer. Go to www.jbainfiniti.com to view over 30 photos of this vehicle. Every pre-owned vehicle for sale has completed J.B.A. INFINITI's 150+ point quality check to ensure you are completely satisfied with your purchase. Call us now @ (855) 742-5905.